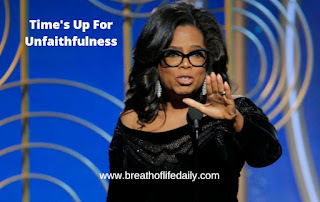 It's like Oprah's words earlier this week were prophetic: Time's Up! I had the choice today to come down on someone for their fault, or to compliment them and be of assistance how I could where they fell short. This came a day after me being angry at my own self for all my faults, but still feeling grace from God and the revelation to do better. You will never get people to do right by bashing them from the start, or reprimanding them to establish a point. God doesn't bash us, but there is a number of times to keep making mistakes before its just blatant ignorance. Let's do better! Let's strive to do better NOW more than ever. "Times up to ignore the voice and will of God for our lives. Times up to stay stagnant for our own comfort. 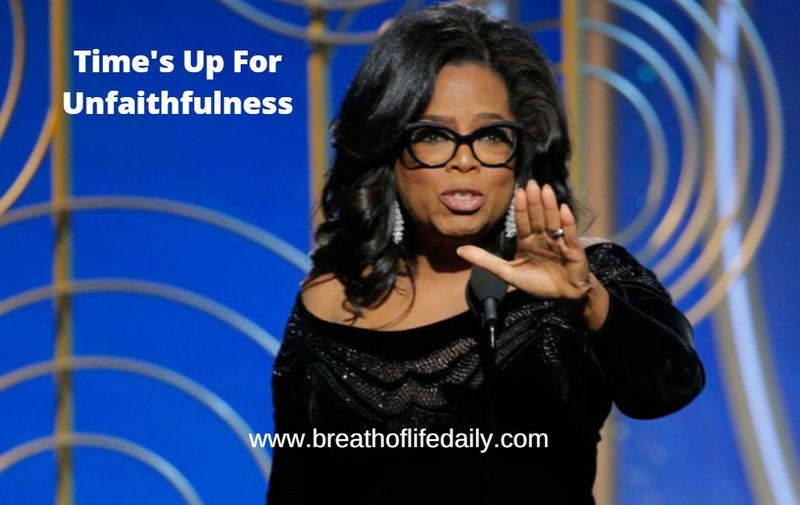 Times up to not be walking intentionally in our purpose." As I go forward in the day I feel very encouraged to be influenced by God's character. More importantly to seek it before everything else. Although it's not easy, it's absolutely necessary.